The Google Pixel and Pixel XL are great phones (here are some great things about them). But there are things about it that are... not as great. Let's run through our top (bottom?) five. $650 - that's the starting price of the Google Pixel. It is also, you'll note, the starting price of the iPhone 7. In fact, every model of the Pixel and Pixel XL matches exactly the MSRP of its Apple competitor. The only difference is that Google doesn't offer a 256GB SKU. But if you were to purchase a Google Pixel XL 128GB, a Google Live Case, and Pixel Protect, you'd end up with a bill over $1000 - and that doesn't include sales tax. Holy cow. You can finance them through the Google Store (or Project Fi) here in the US, but that's obviously not an option elsewhere in the world. So, if you think the Pixel and Pixel XL's premium experience is worth the spend, maybe this isn't such a hard bullet to bite - especially with the aid of no-interest financing. 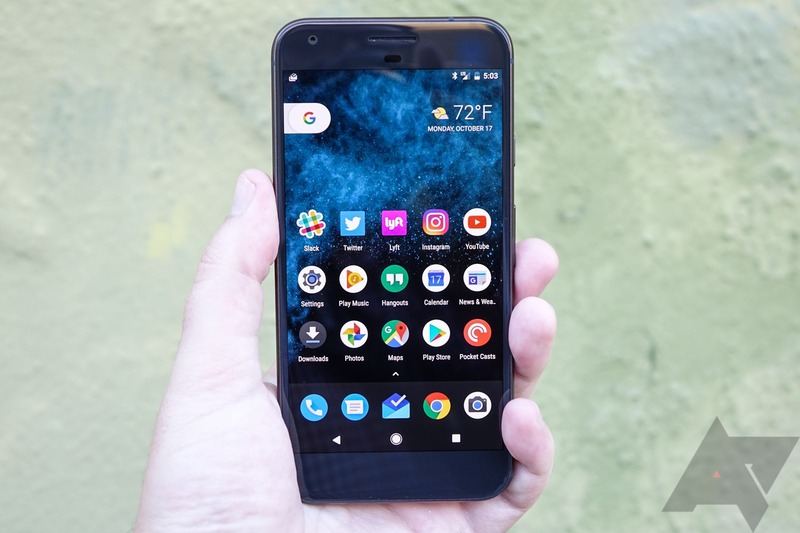 But if you're the kind of person who thought the $499 Nexus 6P was already a costly proposition, you probably won't look at these MSRPs favorably. This is easily the most controversial part of the Pixels, and it's not hard to see why. You know it, I know it, maybe even your dad knows it: waterproofing on a $650+ phone in 2016 is getting to the point of being expected, not a happy surprise. Apple and Samsung have it - Google's Pixels do not. This is a bit of an issue. Why aren't the Pixels waterproof? According to some, it's because Google simply didn't have time to work with HTC to make a waterproof phone design. The Pixels were apparently put together rather quickly, and waterproofing just wasn't something that could be achieved with the constraints the project faced. That's a bummer, for sure, and if you absolutely need a waterproof phone, the Pixel probably isn't for you. 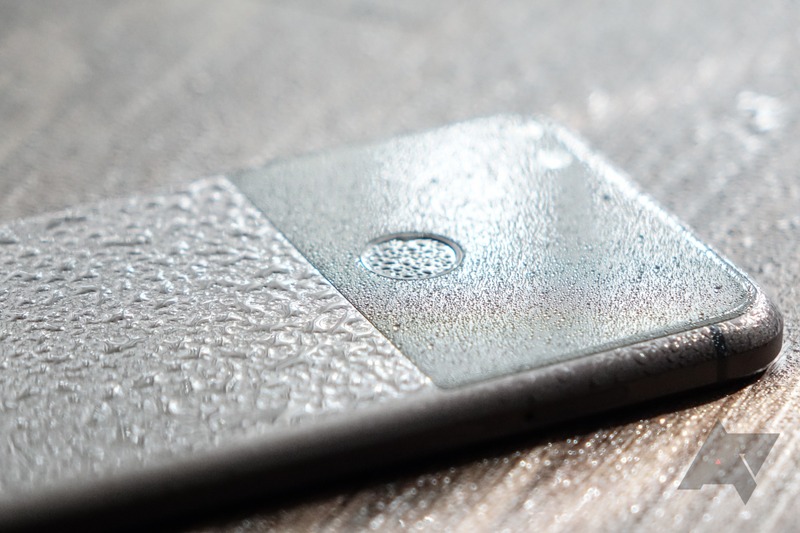 It does have an IP53 certification, but that doesn't really mean much aside from your Pixel won't die if you use it when it's raining and it gets a little wet. There are videos out there of Pixels surviving immersions - but don't be fooled: there's a reason the Pixels aren't rated for this. There's no reason to believe the speakers, microphones, earpiece, and headphone jack would consistently survive submersion with no damage, or that seams on the device may not leak tiny amounts of potentially catastrophic moisture. Just because a phone works when it comes out of a bowl of water doesn't mean it'll still work perfectly a week from now. Don't dunk your Pixel - Google didn't "accidentally" or "secretly" build a waterproof phone. Do you occasionally use your finger to balance the edge of your phone in portrait mode, or hold it by the bottom when viewing video in landscape? Well, if you have a Pixel, you will muffle the speaker this way, because its position is exactly where I find my finger or my palm rest when doing these things. And when the speaker is muffled, it's basically inaudible - I've started a few videos thinking I had the volume turned way down only to notice my hand was just blocking the speaker grille. 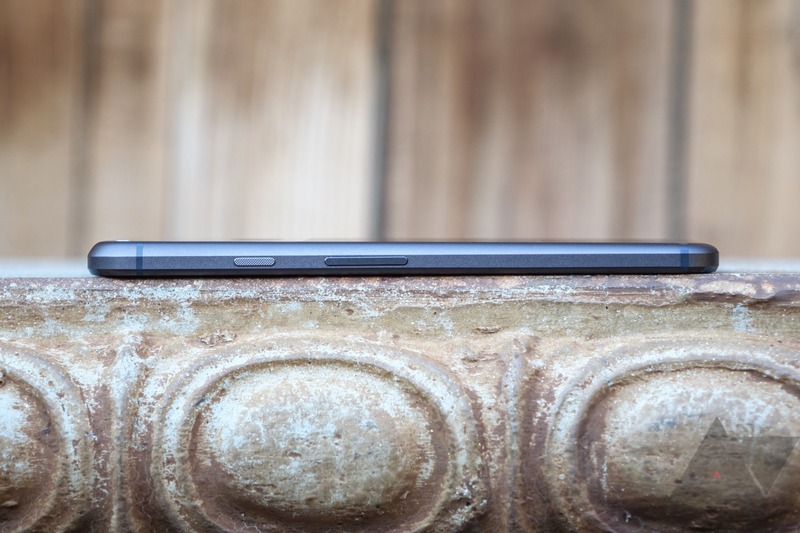 To say that we all probably miss the front-firing speakers from last year's Nexus 6P and 2014's Nexus 6 would not be untrue. Especially when even Apple now has at least one front-firing speaker. I'll also say it seems a bit odd that a high-end phone built by HTC doesn't utilize the 10's stereo arrangement - one bottom firing, one front-facing, like the iPhone 7. I know, Google designed it, but still! That earpiece speaker is just sitting there, waiting to be used for something other than the phone calls you don't make. Google's algorithmic video stabilization is an amazing piece of technology. It's also definitely the "uncanny valley" of video stabilization. It looks like your videos are being recorded by a chicken-stabilized gyro mount, or the Terminator. Unfortunately, it also has some strange issues with increased digital noise in videos, as well as problems with slow panning. See this example below. Go to 0:42 if the time code advance doesn't work for you. In this video, it looks like I'm suddenly, jarringly panning the phone to the left. In fact, I was trying to do a smooth, slow pan - Google's EIS algorithm interprets this as undesirable shake to be smoothed out. The result is this rather annoying "jerking" effect every time the frame reaches the edge of the sensor, and so the threshold for stabilization gets reset. Hopefully this can be resolved in an update. The digital noise issue can be found in on/off comparison videos on the web, but suffice it to say, it can be noticeable when you're doing a side-by-side. So while Google's new EIS is very impressive in some ways, I still think there's work to be done here. If there's one thing I've learned about phones with glass on the back, it's that you will eventually scratch it (unless you use a case), and the possibility to break it entirely is all too real. Who wants to have to repair a phone because the back of it broke? 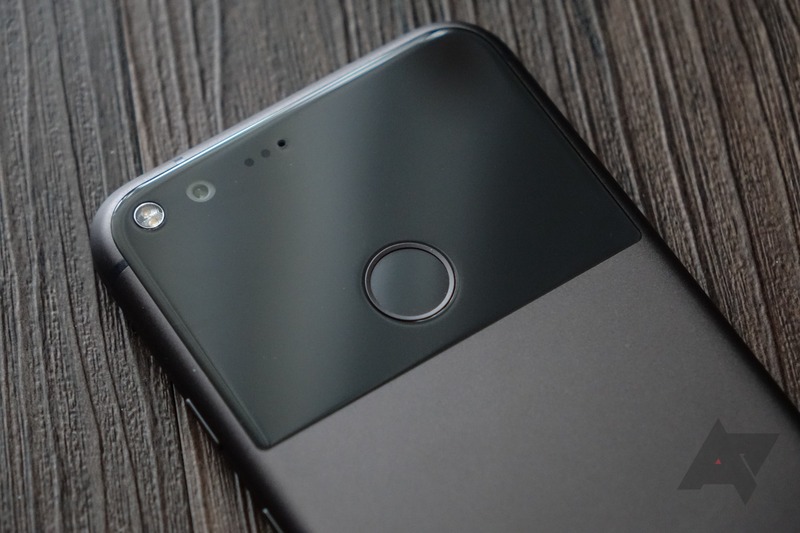 At least the Pixel's glass pane is a relatively small portion of the rear cover, and not seemingly a major structural component a la the Samsung Galaxy S7 and S7 edge. Still, I know this is going to get scratched up in my pocket, and I dread the idea of dropping the Pixel XL only to find the window shattered. It looks clean and smooth today. It's three months from now I'm worried about. This brings me to a larger point: I don't really... get what's going on with the back of this phone. It's at once confusing and dull - it simply doesn't stand out. Some compare it to the iPhone, some say it looks like the generic fake phone you'd see in a commercial that's supposed to be kind of like an iPhone but isn't. Regardless, they just aren't very exciting looking. 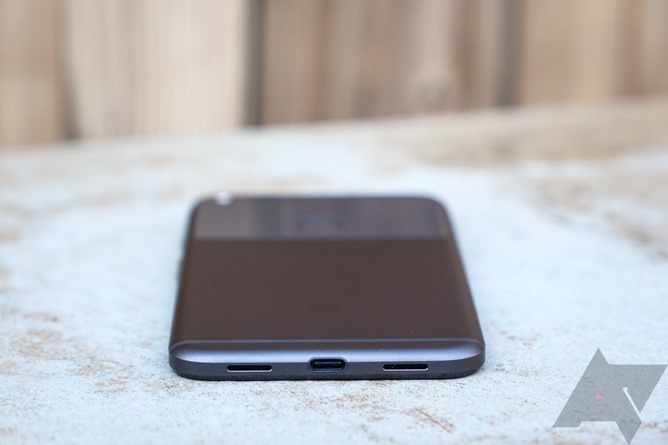 I know some people out there do find the understated design to be simple and clean, but if you removed the G logo on the back, I'd have trouble finding anything about its appearance that called Google or the Pixel brand to mind. Anyway, this one is admittedly more subjective, but I do think concerns about the rear panel scratching and breaking are legitimate - mine already has a scuff on the bottom left corner.